We have lift off! This addition to the Nike Air fam is easily the most controversial; reinventing the Air sole for a futuristic take on style and performance. Yep, you guessed it! The countdown to Air Max Day continues and it’s time to take a look at the Air VaporMax. Want the low down? We’ve got you. Nike Air technology all started in an Air Manufacturing Innovation (AIR M.I.) facility over 40 years ago! Nike’s Air Tech was originally designed using pressurised gas inside a tough yet flexible bag to provide cushioning, next-level flexibility, and springiness in every step! 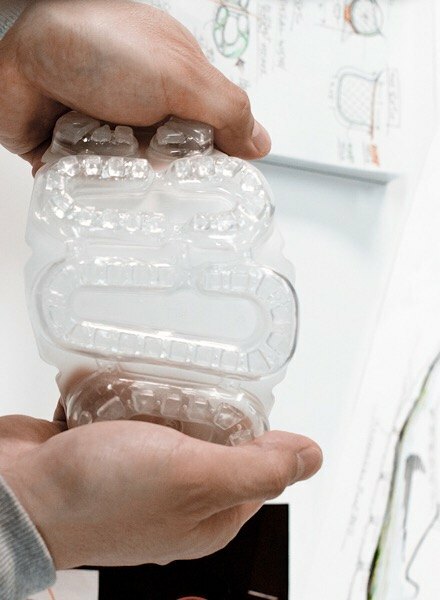 Moving away from a bubble-like sole and more towards cloud-like floating, the VaporMax took 8 years to create and each pair is made up of over 39,000 parts! 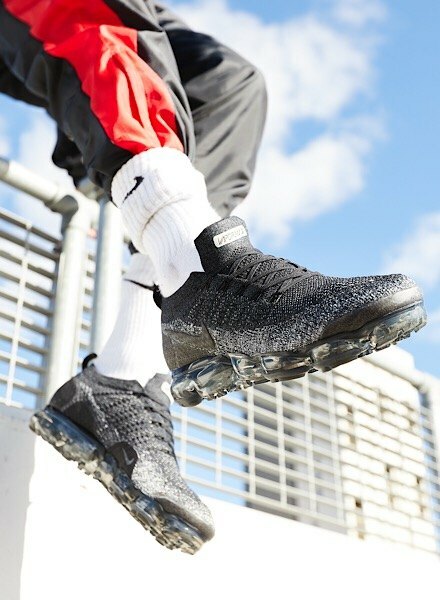 Starting from the sole and working their way up, the mastermind behind the whole thing Kathy Gomez, Nike’s VP of Underfoot Cushioning Innovation said it took 15 tries to get the VaporMax sole right! Using pressure maps of the foot, the shoe’s designers, Tinker Hatfield and Sean McDowell, could work out exactly where runners needed the most support. Then, once they’d smashed the sole design, it was on to the dynamic Flywire cables and the Flyknit upper. 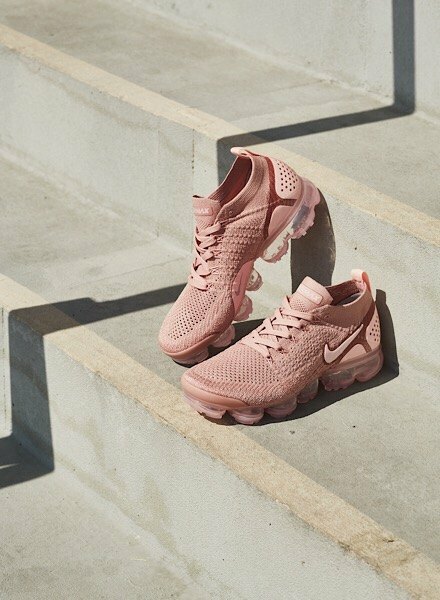 Since launching on Air Max Day in 2017, Nike have added some unmissable additions to their VaporMax collection. Each update takes it up a level, but the iconic VaporMax sole stays intact. Check ’em out here! 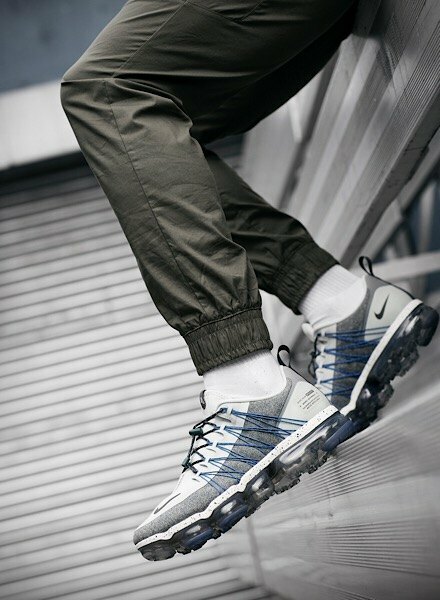 Storming ahead, the Air VaporMax Flyknit was the first VaporMax sneaker, equipped with the iconic Air sole. 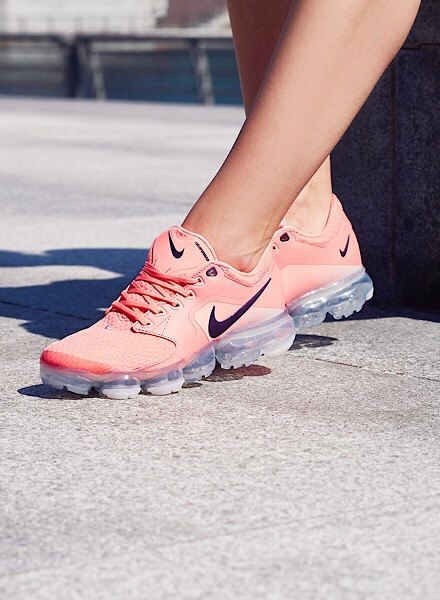 When they made their debut in ’17, VaporMax were built with a Flyknit upper that’s flexible, breathable and ultra-comfy. With Flywire cables for a locked-in fit, these sneakers brought everything you needed for the streets or the track. Switching it up after launch, Nike dropped a new design with a refreshed upper. Featuring the same, revolutionary Air sole underfoot, this updated silhouette reps a robust mesh upper, which brings lightweight comfort and extra durability. Synthetic casing to the heel adds support. Making waves once again! 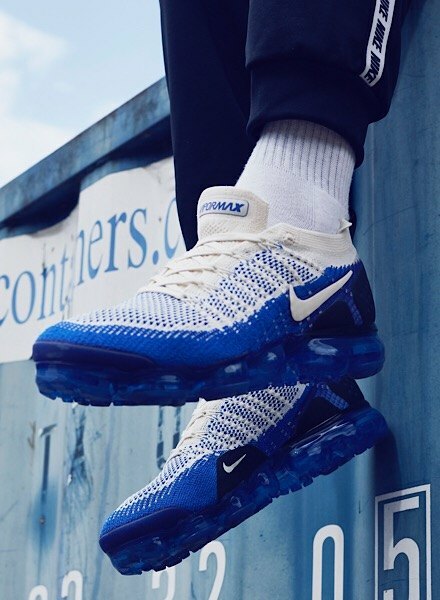 Nike returned with a second instalment of their ground-breaking Air Max silhouette; the Air VaporMax Flyknit 2! 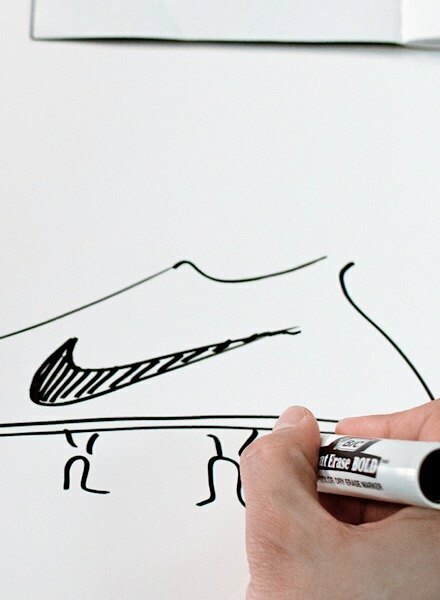 Before the dust had settled from the original launch, Nike already pushed the design to a whole new level. Keeping the key elements of the OG design, they’re sat on the iconic Max Air unit but sport an updated Flyknit upper. For extra support without compromising on flexibility, Nike introduced a lightweight heel overlay. The Flyknit 2 continues to make waves today, with must-cop colourways dropping regularly. Just last year, they launched a safari-inspired ‘Animal Pack’, including Zebra, Snake, Cheetah, Tiger and Lizard colourways, which flew out as soon as they hit. 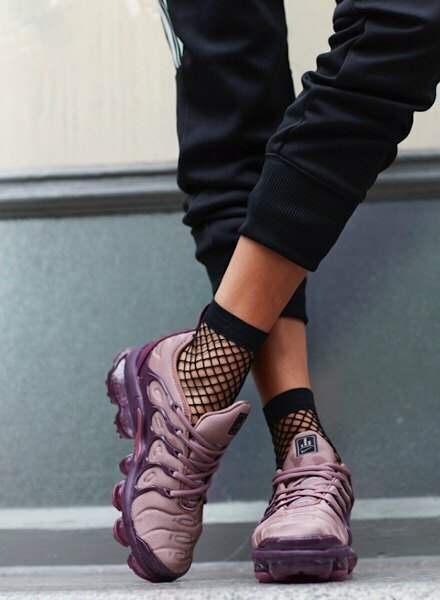 Merging heritage design and the future of Nike Air, Nike dropped a hybrid silhouette with the Air VaporMax Plus. 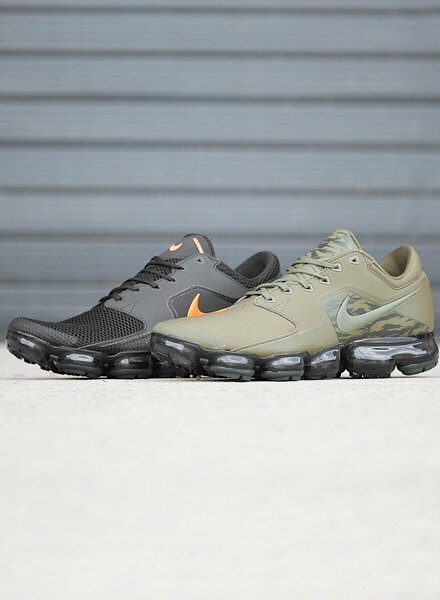 Bringing a whole new look to the VaporMax, these trainers have a Neoprene upper, which nods to the ’98 Air Max Plus, while underfoot cushioning comes from the OG VaporMax! 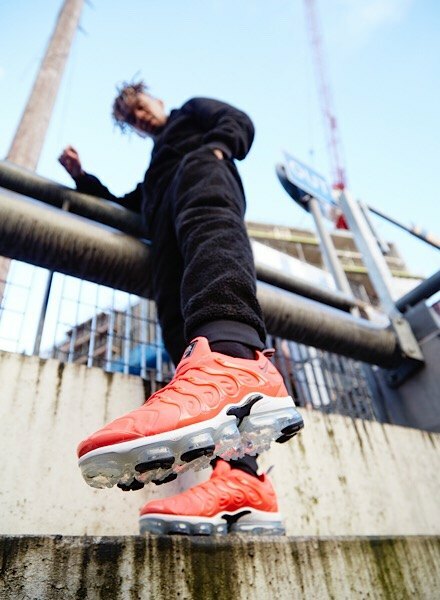 Dropping in loud and unmissable colourways, the Air VaporMax Plus made its mark. 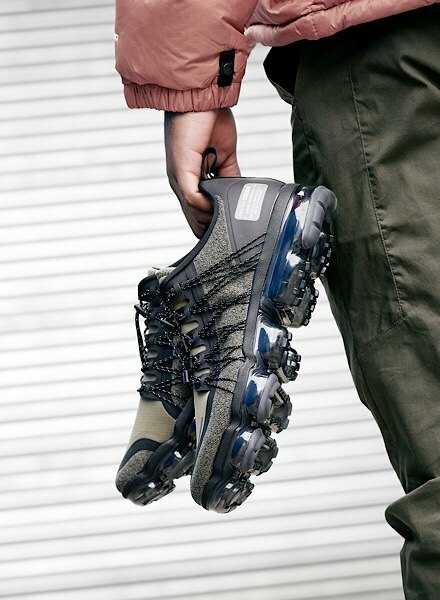 Keeping VaporMax hype up all year round, Nike dropped the Air VaporMax Run Utility; a winterised version. Built to take on all kinds of weather, they have a textile and ripstop upper, which keeps feet protected, while taped seams guarantee a water-resistant finish. This silhouette is packed with tech, including the iconic full-length Air unit and an exposed, Flywire closure with an adjustable toggle for the ultimate, custom fit. Wanna’ cop the latest generation? 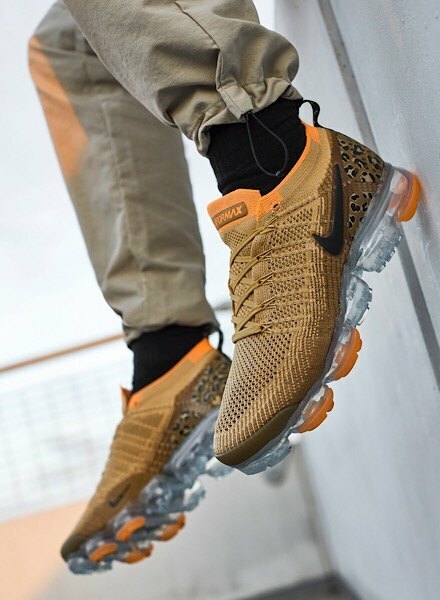 The Air VaporMax 2019 are changing the game. Coming after the VaporMax Flyknit 2.0, these sneakers switch up the look with a statement style that lays it bare. While the 2.0’s came with Flyknit uppers for a breathable feel, the 2019 editions have a translucent TPU upper – following in the footsteps of the Zoom Fly SP and React Element 87. Giving you a peak behind the curtain, the upper reveals cage support to the midfoot that keeps you locked in place, along with panel trims and stitching that gives the sneakers an added edge.